We inspire our students to explore and develop their individual talents and virtues in a caring environment where academic excellence is pursued. Integral education inspired in Christian values. We support and guide students in their development, providing a space for expression and reflection, which favors responsible decision making regarding themselves and their environment. Our bilingual kindergarten is integrated to the Institutional Educational Project. In a playful atmosphere, children from 2 to 5, are helped to develop their capacities respecting their different intelligences and learning styles. 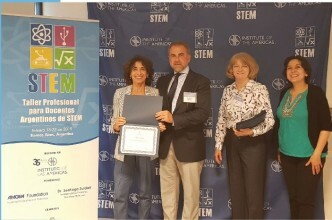 Our educational community imparts an education of excellence that integrates faith and culture and allows our students to respond to the challenges of today's technological world. 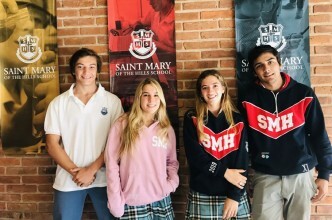 During these years we endeavour to develop critical thinking and commitment to others, connecting disciplinary knowledge with human formation. Our Secondary School students on finishing their studies get the Social Studies Bachelor Degree. 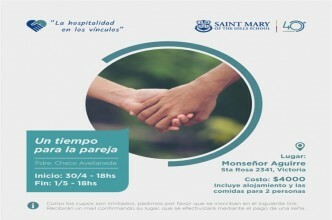 Los invitamos especialmente a ser parte del Retiro que dará el Padre Carlos Avellaneda, Párroco de la Catedral de San Isidro y asesor del equipo diocesano de Pastoral Familiar. La semana pasada los School Heads de ambas sedes participaron del “ESSARP Student Leadership Retreat”. Todavía estas a tiempo de sumarte. 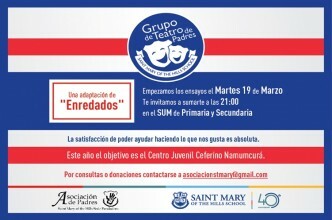 Los ensayos son todos los martes en el SUM del colegio. El Ministerio de Educación convocó a la Profesora Cristina Alonso, jefa del departamento de matemática de ambas sedes, para formar parte de un equipo de capacitadores de docentes. 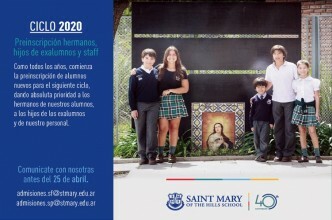 Preinscripción hermanos, hijos de exalumnos y staff. Comunicate antes del 25 de abril. 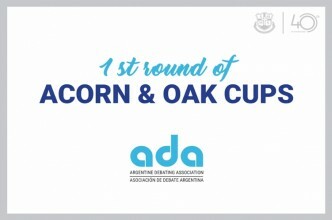 On Tuesday April 9th, our school hosted the First Round of the Acorn and Oak Debating Competition, organized by the Argentine Debating Association (ADA). Faith Education is one of the central objectives on which the School's Educational Project is based on. This is done across the three levels of schooling. From the Pastoral Department we want all people to find a personal and amiable encounter with Jesus. Physical Education is one of our main objectives throughout all the three levels. Teachers in this department encourage fair play through rugby, football, hockey, athletics and sports in general. Each student finds the chance for self- definition and expression using diverse ways and artistic languages so they might not only express themselves verbally but also through gestures, voice, movement and use of space. Our aim is to educate individuals who will use technology as a tool to increase creativity in the development of new tasks enabling them to use it in university and at work.